I want to preempt all my regular blog post to give way to these wonderful giveaways that I don't want you to miss! Rivyoohoo is where I do my reviews, so hop on over then stay tuned. Zen Ventures will resume its' regular quirky postings in a couple o' days! My Snot Boogie Woogied! Seriously it did! You wanna know how? Well, go HERE and find out. A surprise giveaway awaits you there too! 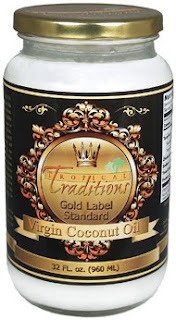 I grew up with Coconut Oil and it's tastier than Olive oil. Want a big jar to try out? Well then, go HERE. You might just be the LUCKY ONE! I've never heard of Boogie Wipes, girlfriend! OMG the coconut oil looks good! I want to try it. thanks for stopping by a few days ago! If you wanna find out the true story behind our door.. come knock on our blog!